The People’s Government of Zhengzhou, UIC (International Union of Railways) and FERRMED have signed an agreement of cooperation in establishing a platform, enhancing the exchange and cooperation between the big logistic and industrial hubs involved with the Belt and Road initiative (BRI). 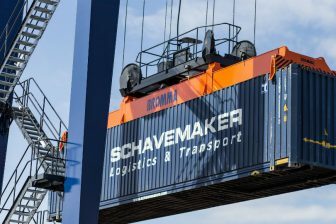 This cooperation should significantly improve the connectivity and efficiency of multimodal freight transport between China and the European Union. The agreement was signed in Zhengzhou, where the Eurasian Connectivity and Industrial Cooperation Forum was held last week. 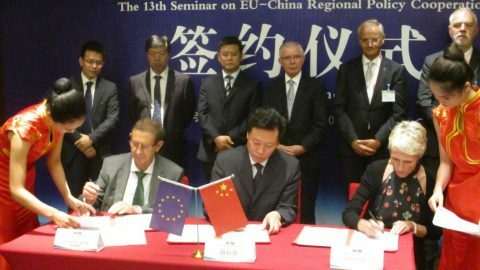 In the framework of the implementation of the Strategic Agenda of Cooperation EU – China 2020, this conference was an initiative of the Government of Zhengzhou and FERRMED. The theme was ‘Join Hands in Building a High-Efficiency Freight Railway Network between China and Europe’. Zhengzhou and FERRMED also agreed to collaborate in the enhancement of rail freight and in fostering enterprise relations in all aspects, through representative offices in China and Europe. Furthermore, they agreed to hold the conference annually in two versions, one in the European Union and another in China. As the core node city of the Belt and Road initiative (BRI), Zhengzhou is quickly developing as a modern international metropolis. 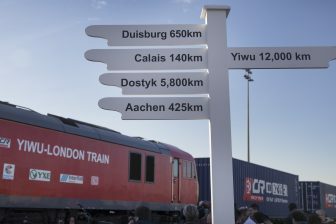 Cited in China.org, Wang Yuehua, executive vice mayor of the Zhengzhou municipal government said that the Zhengzhou-Europe Railway Express trains have achieved a high-frequency and balanced departure-arrival operation with eight departures and eight arrivals per week. 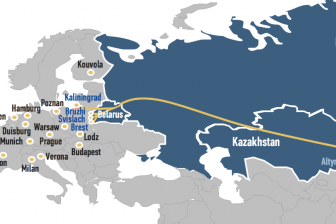 He added that the network for goods collection and distribution based on the Zhengzhou-Europe Express trains cover 126 cities of 24 countries in Europe and central Asia. FERRMED is a multisectoral lobby ogranisation involved with the development of the railway network of Europe. The cooperation between FERRMED and the Government of Zhengzhou dates back to June 2017, when the first agreements of cooperation were signed.